The concept of forming a ‘Commando’ force was explored within just a few days after the evacuation of the BEF (British Expeditionary Force) from Dunkirk in May 1940. Winston Churchill had just been appointed Prime Minister and all his natural instincts looked for the development of any means to fight back. Churchill’s instruction to the Chief of the Imperial General Staff was to form a Tri-Service organisation to be armed with the very latest equipment, trained to a new level of skill and fitness, so that an attack could be made against Nazi Germany at the earliest opportunity. The title ´Commando´ came from the raiding and assault style used during the Boer War, some 40 years earlier. Such daring tactics appealed to Churchill. 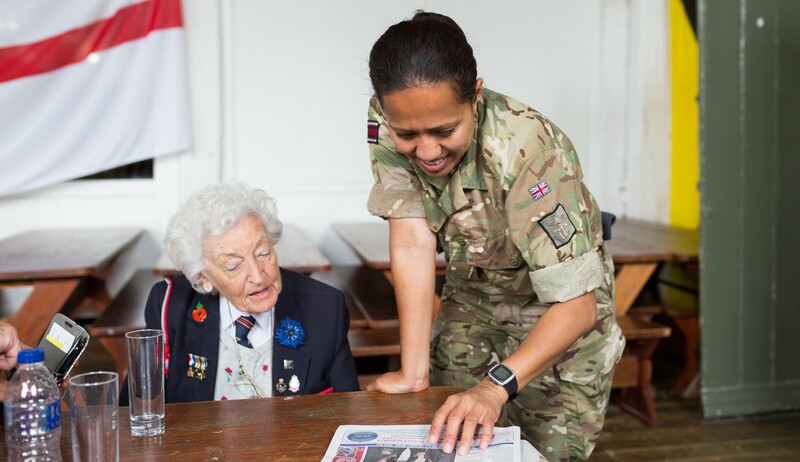 All three Services of Army, Navy & Air Force were directed to provide their best men…to ‘encourage’ volunteers. In due course Combined Operations established a Special Training Centre at Lochailort, an Amphibious Training Centre at Inverary and by 1942 the specific Commando Basic Training Centre was established at Achnacarry Castle, near Spean Bridge. Training eventually centred at Achnacarry Castle. The term “Commando Training” soon became the byword for the finest and most thorough military training for fitness and skill. The area around the castle provided the finest natural opportunities for hard training which included mountain climbing – Ben Nevis, the highest mountain in the British Isles. There was rope crossing of fast flowing rivers, canoe and diving training in Loch Lochy, with practice beach landings. Men were teamed in pairs to face arduous challenges as teams – through marshland, snow, heather, rocks, water…whatever presented itself, regardless of weather conditions. Unarmed combat was a key and critical part of the course, with night training, developing skills to use terrain for concealment and silent approach. Hand to hand combat taught close quarters attack & defence; weapons training with knives and small arms taught both skill and a fighting spirit which was instilled upon all taking this course. After 6 weeks of intense training, Commandos would be entitled to wear the coveted green beret and be proud to be part of an elite force. The first significant example of fighting back came with the Raid on Dieppe. This took place on the night of 18th August 1942 and was a costly disaster. Even so, it was a dramatic learning experience to the benefit of D-Day. The main force selected for Dieppe was the 2nd Canadian Division, supported by US Rangers and British Commandos. It was a massive effort, deploying 6,000 men, over 100 tanks, all taken across the Channel in 237 ships. The flotilla was spotted during the crossing and attacked by German Gun-boats. As the men landed they were cut to ribbons by heavy machine gun fire; tanks were destroyed by heavy shelling before they could disembark. With 3,500 men killed or captured, the raid was a spectacular failure which emphasised the difficulties of breaching established defences. 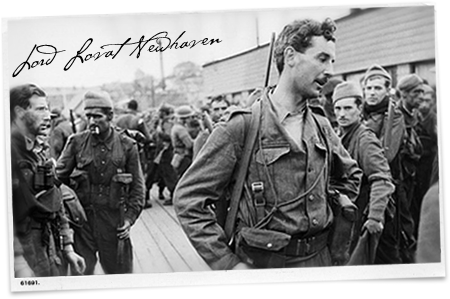 Colonel Lord Lovat, in command of No 4 Commando, survived the night. That baptism of fire was his foretaste for what was to come in Normandy. It was at Achnacarry where Lord Lovat met Piper Bill Millin, later to become such an iconic figure of British bravery, and perhaps eccentricity, on the Sword Beach landings. 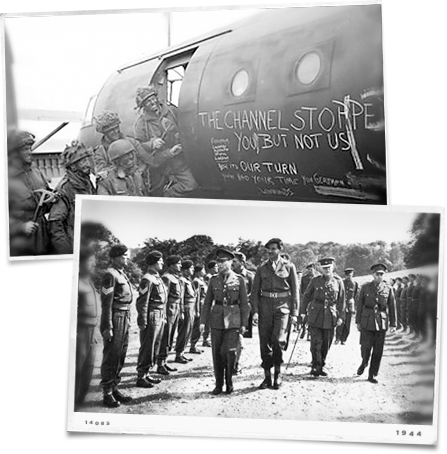 Commando Training was the supreme level of preparation for Normandy. Its recipe was drawn from all theatres of experience which were building rapidly during 1942 and 1943. Tactics of the Long Range Desert Group, the Special Air Service and the Burma Chindits all made their contributions towards training for a changing style of warfare. Regular exercises took place all across the western highlands, drawing on these standards. 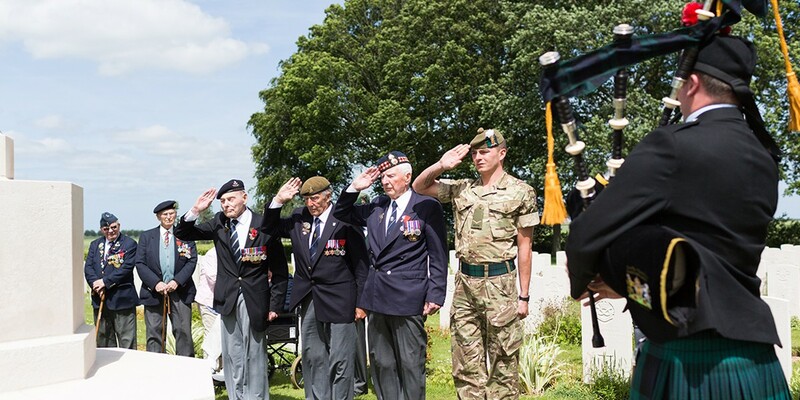 Many Normandy Veterans well remember practice landings on the Isles of Bute & Arran and along Loch Fyne and the surrounding coastal region. Royal Engineers became skilled at establishing mock beach obstructions to give the practising troops a taste of what the Normandy beaches would be like. Typically live ammunition was used in these practices. An essential element of D-Day planning & execution was the advance airborne landings into Normandy, including the novel use of gliders. Operation TONGA was to be the Commando attack on the Benouville & Ranville bridges which spanned the Caen Canal and Orne River east of Sword Beach. These strategic crossings would be the primary route for German armoured reinforcements to reach the landing areas along the Ouistreham road. Control of the bridges was vital for the allies to protect the eastern flank. To be away from the worst of the enemy bombing, most of the parachute training and preparation was carried out in the north of England. 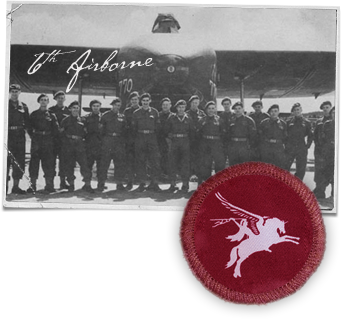 Many of the Para Veterans recall parachute practice at Ringway Airfield, now better known as Manchester International! Nearby was the parachute landing area of Tatton Park which was alongside the American 3rd Army base at Peover, Knutsford. 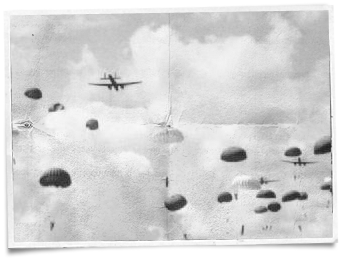 Paratroopers and Commandos were both new forms of warfare. In preparation for the D-Day Landings, these forces had to be created from scratch. Aircraft were designed and modified to be made suitable for mass paratroop landings. Once again, as with all areas of the build up towards Normandy, it was a matter of assembling resources. More and more aircraft, more skilled men trained for special duty, more weapons and more equipment. Commando and Paratroop training tied in very closely with the new Special Operations Executive (SOE) and the whole area of clandestine intelligence gathering. 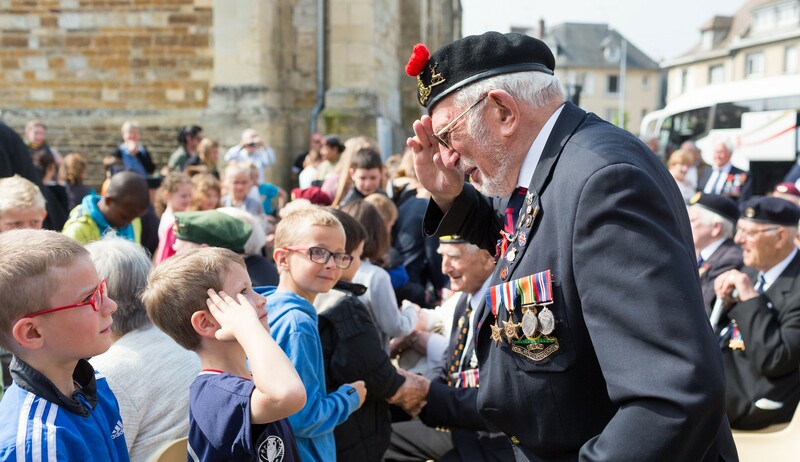 Whilst the Allied General Staff planned each stage of the Normandy Landings meticulously, the primary concern was that first day. Securing the beach head during those first few hours was critical. Every effort had to be made to identify and neutralise those heavy defences which had the potential to stop the Landings at the water’s edge. Aerial photographs from allied aircraft provided information to be pieced together. Defence installations along the coast were identified for special attention during the night immediately prior to the landings. The Merville Battery just inland from Ouistreham had the ability to rake Sword Beach with heavy artillery fire and could not be allowed to remain intact. The Orne River bridges were essential for the British to capture. Primary concerns were to remove access for German reinforcements so the landings could be secured and established. On the American western side, to capture the Port of Cherbourg intact was a major objective. However, the immediate priority in advance of the main landings would be to capture the Douve River crossings so that both beach heads could merge as they drove inland. For Commandos and Parachute Regiments, just as for all forces gathering in late May, into the first days of June, it was a question of reaching battle readiness. Training would be at an end… then wait for the order to go.